Sony Ericsson announced Android software upgrade plans for its Xperia smartphone line on Thursday, saying that all 2011 Xperia handsets will get Android 2.3.4. The upgrades will begin in a phased rollout this October, with options to get the software over the air or by direct download via computer. News of the upgrade should be welcomed by current Sony Ericsson (s sny)(s eric) owners, as the company’s first Android handsets were among the slowest in the industry to see newer versions of Google’s (s goog) operating system. The update is mainly a maintenance release, but Sony Ericsson is including one key feature that many other Android 2.3.4 phones are lacking: support for Google Talk video chat. Also included are features specific to the Xperia line, such as deeper Facebook integration with single sign-on, contact and calendar sync; Facebook photo integration with the handset’s image gallery; and a media discovery widget to see what media your Facebook friends are recommending. After the update, Xperia owners will also have screen-capture functionality, USB peripheral support, Swype text input and a panoramic scene capture in the camera application. The panorama feature can capture a 3-D image, but a 3-D television is required to see it. 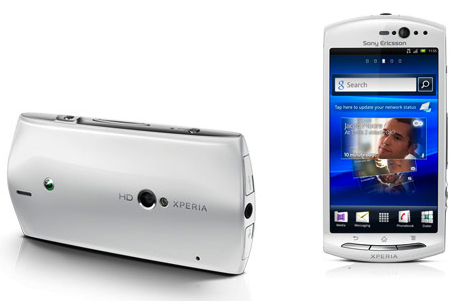 Android 2.3.4 will also power the newest addition to Sony Ericsson’s smartphone lineup when the Xperia Neo V arrives in the fourth quarter of this year. The new handset uses Sony’s Mobile Bravia Engine for the 3.7-inch 480 x 854 display, bringing improved contrast, noise reduction and color management, similar to that of a Bravia television. The new Neo V is powered by a 1 GHz Snapdragon (s qcom) CPU and comes with a scant 1 GB of internal storage, of which 320 MB is user accessible. The phone does have a microSD memory card slot capable of expanding storage by another 32 GB, however. The software update is certainly good news, but the new Xperia Neo V seems more of the same, at least on paper. Last September, Sony Ericsson said it planned to become the top Android handset seller in the world, and while the new Xperia phone and software updates will keep current owners happy, neither seems revolutionary enough for the company to make good on its goal in the near future.